Heller Locations - Heller Industrial Parks, Inc.
We're in the Right Place, at the Right Time. Ike Heller always had a desire to build. He also had a vision. Like all resourceful pioneers, Ike Heller understands the value of location. Forty years ago, long before others ventured into untested regions, Heller staked out strategically located parcels of land that ultimately provided his customers with optimum access to the marketplace. 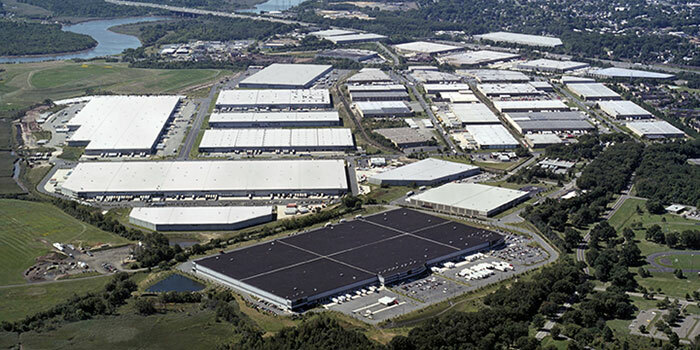 The result: 14.5 million square feet of high quality, close-to-market distribution centers; 11 million square feet concentrated in New Jersey's heavily traveled Northeast corridor, 1.2 million square feet in the Dallas/Ft. Worth area, 420,000 square feet in rapidly expanding Houston, and 1.9 million square feet in Pennsylvania, Illinois, and Kentucky. At Heller, we take "going the extra mile" literally. It's what separates us from the pack. It's all about finding the right site, even if that means overcoming seemingly insurmountable obstacles. We know that location is our most valuable asset. So we meticulously tailor our site-selection process to provide the most convenient and cost-effective location for your distribution center. Our strategy is designed to satisfy the whole range of your critical requirementsâ€”superior truck access to major highways, rail service, all utilities, vital market accessibility, and an abundant labor force.